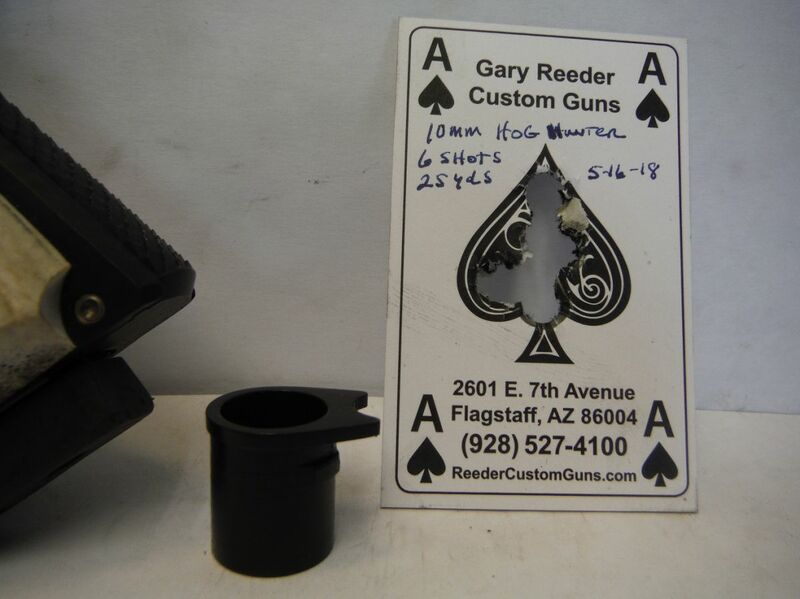 I have a warm spot for 10mm Long Slides and especially our Hog Hunter. Whenever we finish one they usually go almost immediately.Wild hogs are overrunning the country and they are becoming one of our most hunted species. 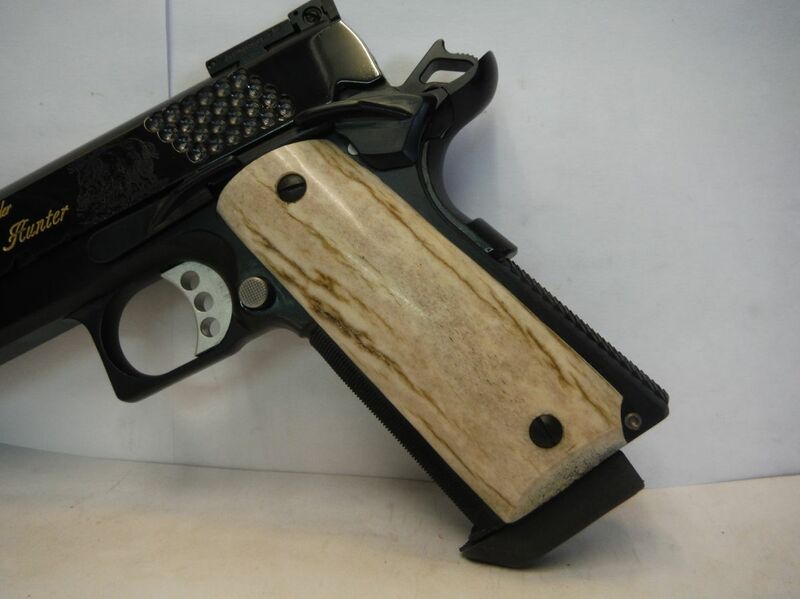 If you are a handgun hunter and like the semi autos, this one is for you. 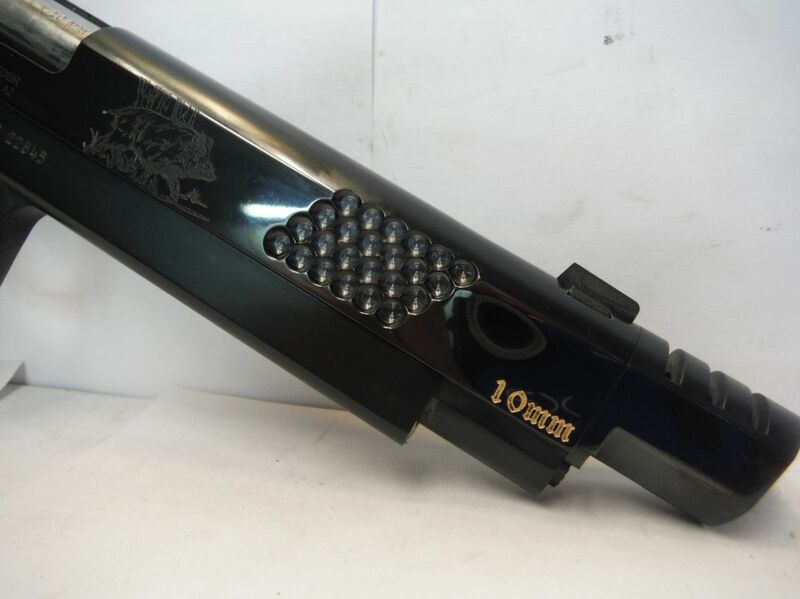 It is our longslide 10mm HOG HUNTER. It is full custom from the ground up. 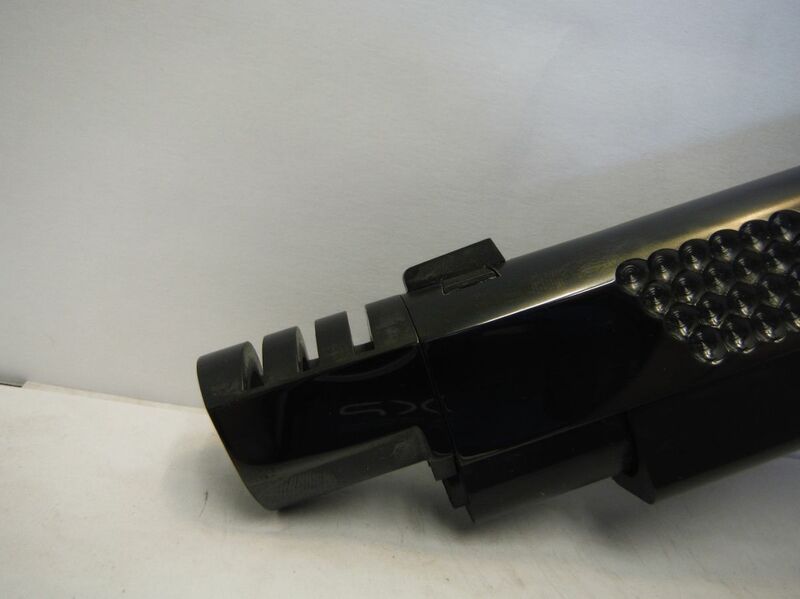 With the longer slide and barrel you get a bit more power out of the 10mm, which makes it great for wild boar or just feral hogs. 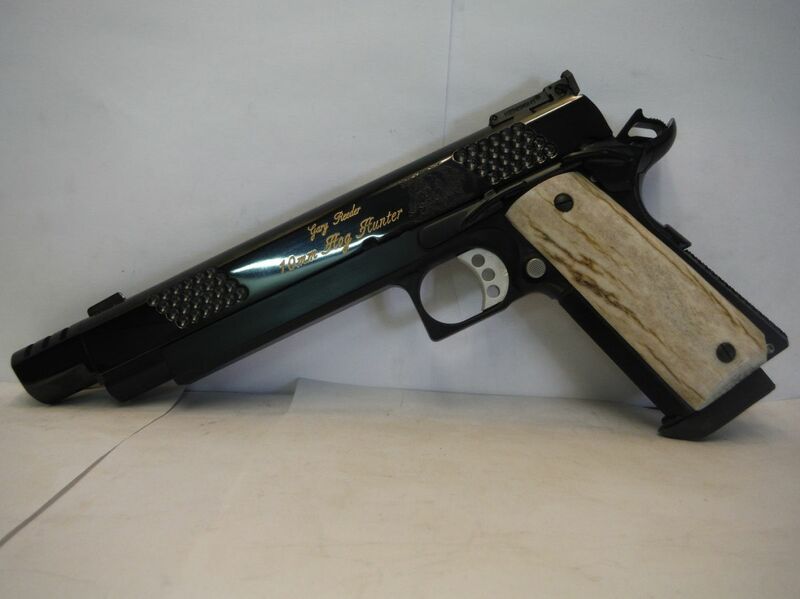 This gun is full custom from the ground up. 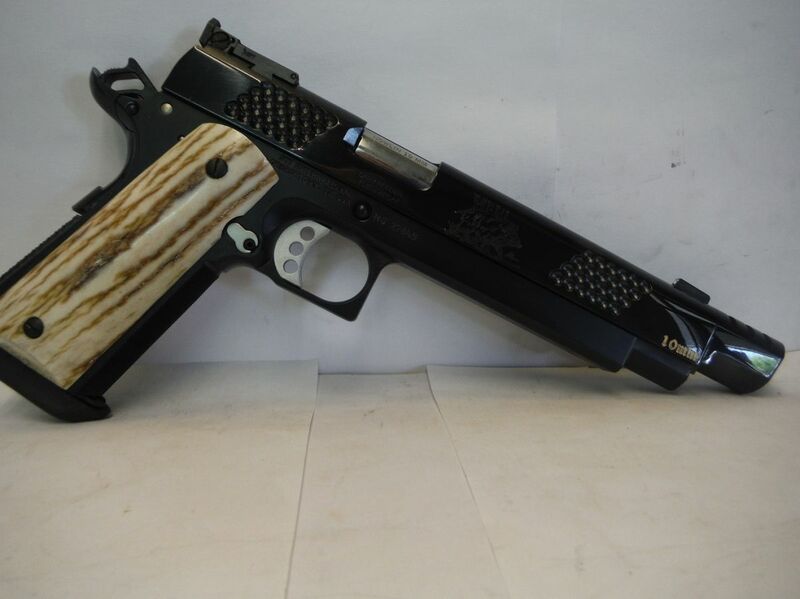 Every part of this gun is custom from the STI frame to our own long slide to our own custom comp. It has a custom extended slide release, extended safety, custom commander hammer, custom beavertail, custom mainspring housing, checkered front strap, custom rear adjustable sight and night sight front. It has been ramped and polished and is very accurate. 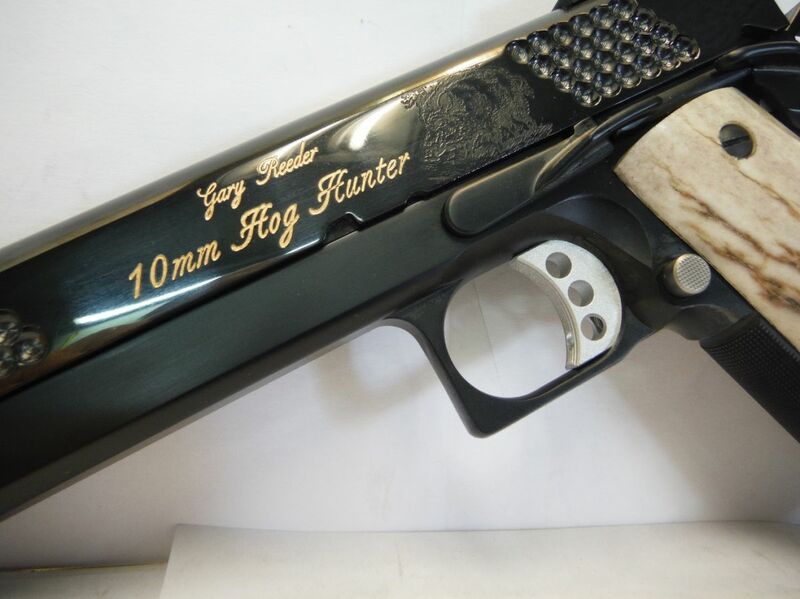 The new Hog Hunter has a set of Irish Elk grips and the gun is finished in our deluxe Black Chromex finish. 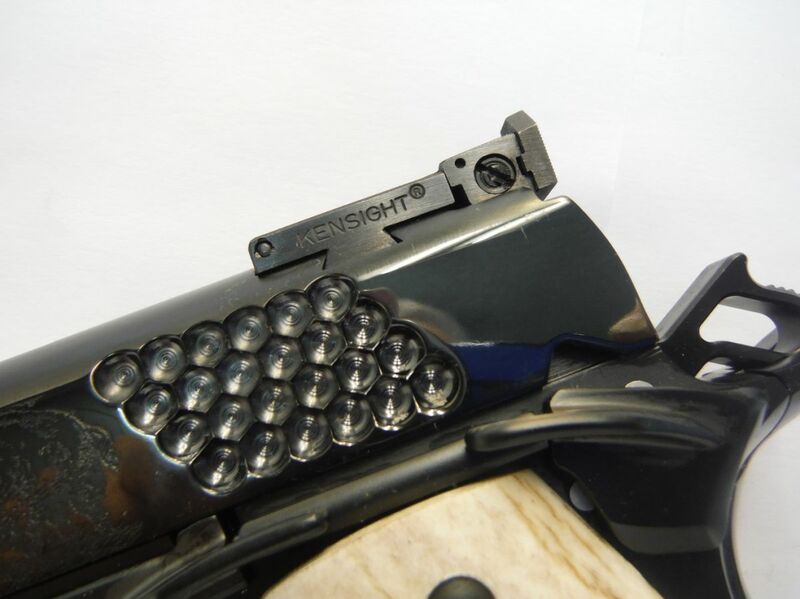 The gun comes with a standard bushing for those times when you don't need the comp. 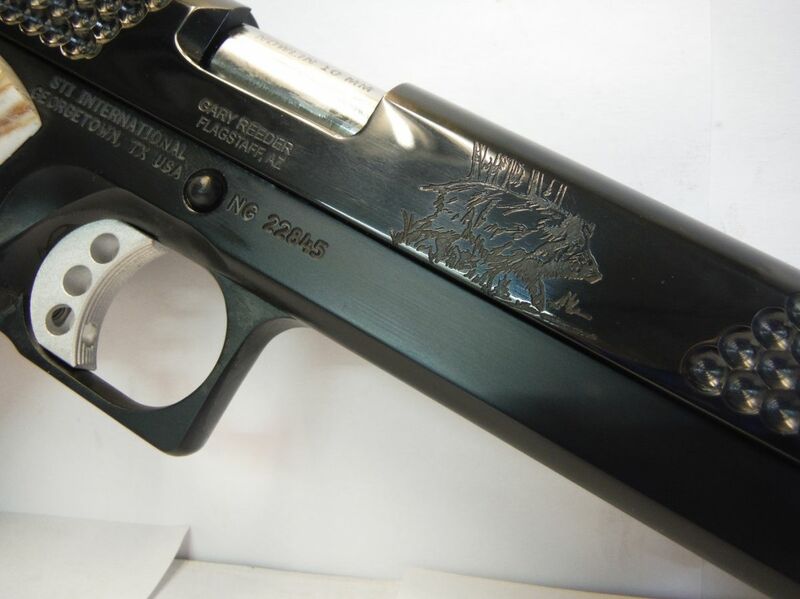 The 10mm Hog Hunter is priced at $2195 with no waiting.